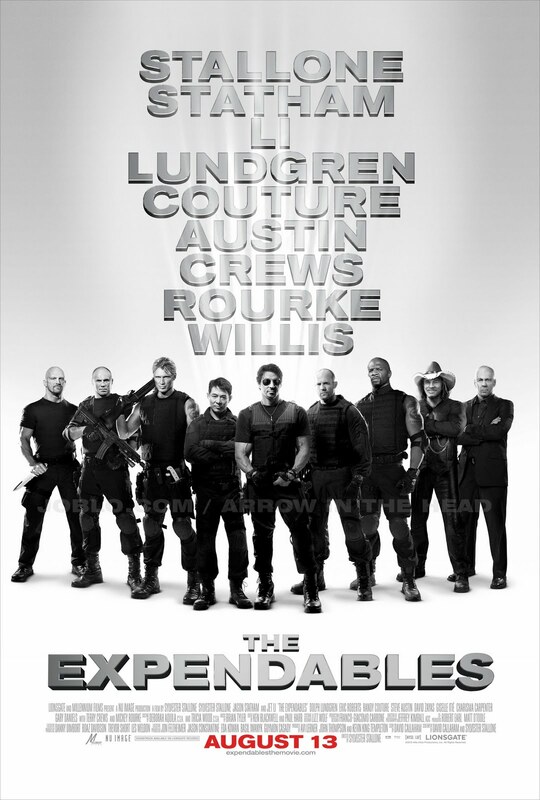 JoBlo has unveiled the final poster for The Expendables. It's a basic black and white image that has all of the actors standing in a "V" formation with Stallone front and center. While It's nice to finally see Terry Crews get billing in the films promotional materials, it's also a bit misleading to have Bruce Willis featured so prominently in the ads since he has nothing more than a cameo in the film. Then there is the matter of the new trailer, which manages to be an even more blatantly misleading piece of advertising than the poster. I feel really sorry those who are too comatose to muster up some excitement for this film. If you grew up idolizing these guys the way I did, The Expendables should be one of your most anticipated movies this summer. 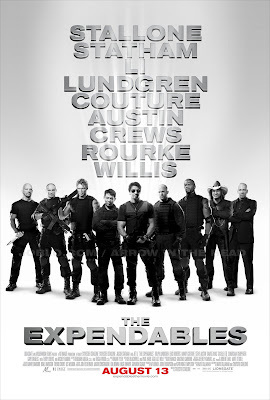 While I'm sure The A-Team will be a bigger box office success, I'm banking on The Expendables to be the much more satisfying experience of the two (The less said about The Losers the better). You Can check out the trailer below.